Gregory S. Malush graduated from the St. Louis University in 1982 with a Bachelors of Science Degree in chemistry. He is married to Jean Marie Malush and they have three children. Mr. Malush graduated from St. Louis University School of Law in 1985 and was admitted to practice in the state of Missouri in 1985, the state of Illinois in 1986 and the state of Minnesota in 1987. Mr. Malush is admitted to practice in the U. S. District Court for Minnesota, and he is on out-of-state practice for the states of Illinois and Missouri. Mr. Malush is a member of the Minnesota Association for Justice, the Minnesota Bar Association and the Ramsey County Bar Association. He is an arbitrator for the American Arbitration Association. He is also on the Minnesota Association of Justice Board of Directors, The Education, Publication and Legislative Committees. Mr. Malush has also been active in the community coaching soccer, T-ball, near-ball and baseball for St. Paul Parks and Recreation Association out of Merriam Park Recreation. He was also a board member for the Merriam Park Community Council, and was vice president and past president of the Merriam Park Community Council, which he is retired from presently. Mr. Malush's major area of practice is auto, ATV, Semi, slip and fall liability claims. He has helped families in multiple wrongful death automobile accident situations and received six-figure awards for them. He also represented the Mother of the Bucklin children for the Wrongful Deaths of Nicholas Bucklin, Nathaniel Bucklin, and Noah Bucklin on 10-25-2010 in the Small airplane crash in Wyoming against the FAA and the company running the tower in Jackson Hole Wyoming for significant amount which is confidential. He has handled cases from farm injuries; he recently got a six-figure settlement for an individual who was hurt on a stepstool that she purchased from L.T.D. Commodities. He has represented several different individuals who were hurt on other peoples' commercial property where the individual had fallen and sustained serious injuries. He has filed actions against numerous insurance companies to get coverage for his clients following accidents. He has handled numerous cases against State Farm, Farmers, Allstate, MSI, Progressive, Travelers, Infinity, USAA, American Family or just about any insurance company you can think of in automobile accidents, to recoup no-fault benefits for clients when their benefits have been terminated by their no-fault insurance company. Mr. Malush was one of the attorneys handling one of the deaths in the Maria Avenue explosion which occurred July 22, 1993, just off of 1-94. He has represented individuals against power companies for injuries sustained on snowmobiles. He has helped individuals who were hurt in vehicles on the personal injury aspect of a workers' compensation injury on numerous occasions. He has represented numerous families when their children have been attacked or bitten by dogs. He has represented families who have been injured by 18-wheelers, backhoes and front loaders. He has also represented families in many severe accidents where multiple family members were hurt by people high on methamphetamine, alcohol, crack, cocaine, and any variety of street drugs or illegally obtained prescription medication. 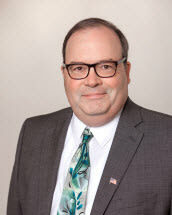 He has also represented individuals when they were injured by someone who lost control of their vehicle because of alleged diabetic shock, health issues and other problems, He also represents families in wrongful death claims against medical providers, nursing homes and medical malpractice actions against physicians in Minnesota. Mr. Malush strives to make sure his clients know what is going on with their cases. They are contacted by our office to find out how they are doing and how their symptoms and injuries from an accident are progressing. We fight for them against both the insurance company of the individual who injured them and also against their own no-fault insurance company to make sure our clients get the appropriate care that is needed. He also helps direct the client to make sure they get sent to the appropriate specialist, so the client gets the best care needed for their injuries and the best chance for recovery. Attorneys at Milavetz, Gallop, & Milavetz, P.A., are rated* AV by the respected, nationwide Martindale-Hubbell Law Directory. The ratings are developed by obtaining confidential opinions from lawyer adversaries and judges before whom the lawyer has appeared. Ability rating categories are A, B, C, and no rating. An "A" rating is the "very high to preeminent" category, the highest rating possible. It signifies that the lawyer has reached the heights of professional excellence, recognized for the highest levels of skill and integrity. The "V" rating is the highest for adherence to ethical standards, reliability and diligence.